Another big remix contest by Beatport. From today you have the opportunity to remix the track “Gnanmankoudji” by the world famous dj & producer Laurent Garnier and wins a Native Instrument Traktor Kontrol X1. Enter now and good luck! Attention! This contest has some stages, be sure to read the full rules! Beatport has teamed up with France’s undisputed king of eclecticism Laurent Garnier for a special remix contest. The Frenchman is offering up remix parts to his 2009 hit ‘Gnanmankoudji’, an Afro-inspired deep house cut, to his fans, who are then able to remix it for themselves. 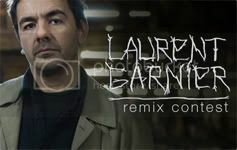 From January 19th, 2010, Beatport users are able to download the remix parts of Laurent Garnier ‘Gnanmankoudji’, and then remix it at home, before uploading it to Beatportal for a vote.